When it comes to special education, parental involvement is paramount to the success of a child. This is especially true during all aspects of the Individualized Education Plan (IEP) creation, changes and anything else related to this vital process. Considering that the IEP process can be initiated by the parent, it’s important that they understand their rights and responsibilities in order to ensure that the process is efficient and collaborative. Parents whose children are aged 3 to 21 years and have a disability are entitled to different rights when it comes to IDEA (Individuals with Disabilities Education Act). These rights are typically referred to as procedural safeguards and are extended to a child’s guardians along with the student themselves as long as they’re at least 18 years of age. Every parent has the right to participate in all decision-making meetings held in order to develop an IEP for their child. These meetings include the child’s eligibility, evaluation, educational placement and any other matter to do with the child’s FAPE (Free Appropriate Public Education). In the case there isn’t a parent available for these meetings, a surrogate parent should be appointed by the district to help represent the child adequately. In the case of any changes in identification, evaluation and educational placement initiated by the school district, the parent has the right to receive prior written notice. Parents also have the right to provide an informed, written consent for the special education IEP prior to the assessment process or the provision of special education and related services. This consent is also necessary before any changes are done to the program already in place. Parents should only supply their consent once they have a clear understanding of the IEP team proceedings. Also, parents should be provided with an interpreter if their native language is different from English or in case they are deaf. Keep in mind, parents have the right to refuse the evaluation or educational placement of their child. Any parent who has a child enrolled in special education and possesses an IEP has the right to inspect, evaluate and request copies of educational records. In the case of any complaints in regard to the provision of Free Appropriate Primary Education (FAPE), to the child, parents have the right to a hearing. During the hearing, the parent can request that an advocate, attorney, or if appropriate, their child be present. Furthermore, parents have the choice to make the hearing public. Parents have the right to disagree with any proposals presented to change their child’s placement. When a disagreement surfaces, the child should remain in their current program until resolved. When a disagreement arises, parents are free to seek voluntary and impartial mediation to help find a mutual agreed upon solution regarding the child’s special education IEP. Students enrolled in special education have specific rules regarding the suspension or expulsion. If these instances extend for more than ten days, an IEP meeting should be called to assess how their disability could be contributing to the child’s misconduct. Additionally, the participants should discuss the potential for an alternative placement as an alternative. The parent is an important member of the IEP team and therefore should actively participate in the progress of their child’s education and performance. IDEA guarantees the rights of parents formulating the necessary educational programs and decisions that will benefit their child. It is, therefore, important for parents to exercise their rights responsibly to guarantee the success of their child. The world of special education is a big one. This means there’s a lot of information parents should be aware of describing the intricacies of services, schools, behaviors, tips and tricks often associated with the special needs community. The more information you have, the better equipped you will be to make future decisions for your child with special needs to ensure their success. 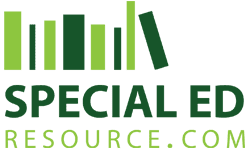 Special Education Resource was created specifically to help parents of children with special needs find the information and assistance necessary to help their child reach their excellence. Through dozens of articles, quotes, links and one-on-one special education tutoring, we are here to help you every step of the way. This entry was posted on Friday, November 7th, 2014 at 7:06 pm and is filed under Special Education IEP and tagged as . You can follow any responses to this entry through the RSS 2.0 feed. I work at Wetumpka High School in Wetumpka, Alabama, and I serve as a Problem Solving Team (PST) facilitator which is a process under Response to Instruction (RTI) that determines whether or not a child needs special education services. Is there a parents’ rights brochure that we could use to distribute to our parents here in Elmore County when their children are identified by the PST due to failing grades? Do I have a right to review my child’s projected goals and objectives prior to the IEP meeting so I can better plan my input? Does the school district have the right to change your child’s school less than a month before school starts? I just received a phone call and email that they are changing my sons school because they have no room. Can they do this? As a parent, can I request that the school pay for an outside evaluation for my child. ? This awesome. Thank you for sharing. I need this as a special ed teacher in a self-contained classroom teacher. 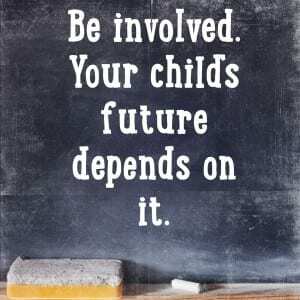 Parental involvement is paramount to a child’s success in all aspects of special education, especially their Individualized Education Plan or IEP. As a parent, you have many rights throughout the process of the IEP’s development and the ongoing upkeep of this vital document. 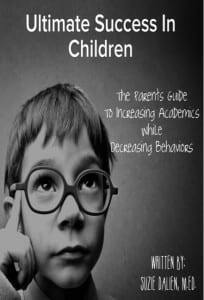 Remaining active in your child’s education will help ensure their success on the path to academic excellence.